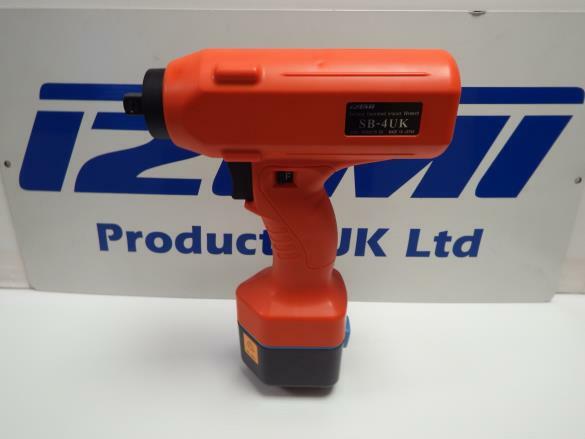 SB-4UK Battery Operated Tools: Izumi Products. 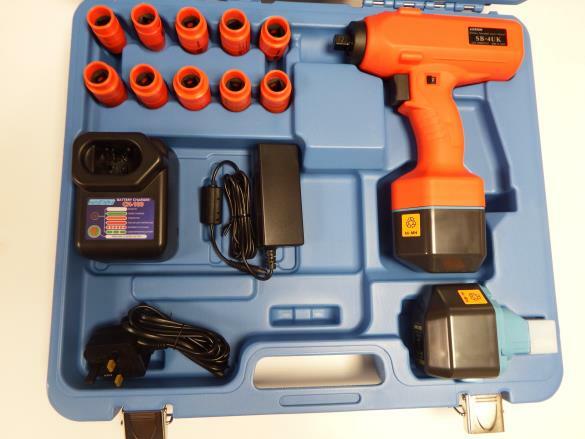 Latest member of the popular six series of battery operated tools. 230nm Torque. Ideal for operation on the latest shear bolt cable connectors & conductor IPC`s. Fully insulated for live 1,000v operation. Powerful output makes it useful for a multitude of jobs-pole & transmission tower accessories, cable end boxes, transformer tanks, bus bars, cable terminations. All batteries in the Izumi Range are compatible. Insulated impact socket are available.